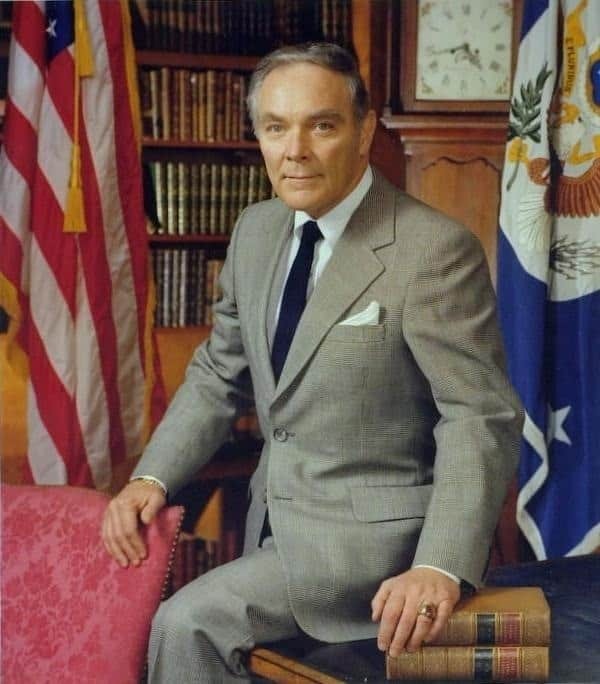 A highly decorated military leader and influential political figure, Alexander Haig’s career, which included such roles as Supreme Allied Commander to Europe (SACEUR) and Chief of Staff to Presidents Gerald Ford and Richard Nixon, culminated with his appointment as President Ronald Reagan’s Secretary of State on January 22, 1981. As White House staff and Department of State personnel quickly discovered, however, Haig’s wealth of experience did not prepare him for smooth sailing in Washington or abroad. Haig’s brash leadership style was met with growing frustration from within the administration. 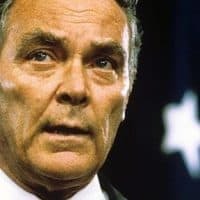 During his one-and-a-half-year stint as Secretary of State, Haig’s approach toward Israel during the Lebanon War of 1982 and the developing dialogue between China and Taiwan over the One-China policy and arms sales helped to seal his fate. After repeated clashes with his colleagues over his operating style, Haig submitted his resignation on June 25, 1982 and was replaced by George Shultz less than a month later. Serving in the Executive Secretariat from 1981-1983, Clayton E. McManaway highlighted attempts made by Haig’s contemporaries to humiliate the Secretary into resigning in an interview with Charles Stuart Kennedy in June, 1993. Wat Tyler Cluverius, Director of the Office of Jordan, Syria, Lebanon, and Iraq from 1978-1983, recalled an awkward telephone conversation between Haig and Reagan in an interview with Charles Stuart Kennedy in May, 1990. John J. Taylor, Political Counselor in Beijing from 1980-1982, captured the Chinese-Taiwanese dimension of the situation in an interview with Charles Stuart Kennedy in May, 2000. 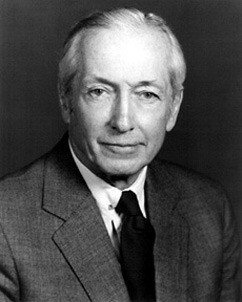 Finally, Robert M. Perito, Special Assistant to the Under Secretary for Political Affairs in 1982, recalled when Haig had resigned and his final duties before Shultz took over. You can also read about Haig’s embarrassment after a Nicaraguan soldier recanted regarding Cuban involvement in El Salvador, his run-in with the ambassador over U.S. policy in El Salvador, and his yelling match with an FSO who quit because of disagreements on bombing Cambodia. Read when Secretary Haig famously declared, “I’m in charge here” after the assassination attempt on President Reagan. Go here for other Moments dealing with Reagan. McMANAWAY: I was on Reagan’s first trip abroad to Europe in 1982, which was the beginning of the fall of Al Haig. It was a nightmare. What I found surprising [was] watching…someone with his experience virtually run the government in the last years of Nixon and failing to form any alliances in the cabinet. Not taking the measure of people around the President before he made recommendations and moves, which got him off to a very bad start…. He went alone the whole time he was Secretary. He was a loner. Almost as though he was the one man in town who really understood what really needed to be done and how to do it. I think that didn’t go down very well either. [Going to Europe] was a nightmare trip for everybody involved because of the schedule, it was so heavy. I made a couple of advance trips with [Deputy White House Chief of Staff] Mike Deaver and his people and I kept trying to tell them that they were over scheduling the President. Sure enough, if you remember, he fell asleep when he was talking to the Pope on worldwide TV. It was just too much. We had back-to-back summits. The economic summit and the NATO summit, a visit to the Pope. We were gone ten days. I think I averaged about three hours of sleep a night. The signs of an attitude towards Haig started during the advances and planning. Where is Haig in the motorcade? I had to get him in the right place in the motorcade. I had to go to the French to get him from Paris to Versailles, in a French helicopter. I learned on one of the advance trips that Reagan was secretly planning an extra day in Paris, going in a day early for a private visit. I was having great difficulty getting adequate space for the staff out at Versailles where the economic summit was going to take place. The White House people were being very uncooperative in giving us adequate space and putting us out of touch with the Secretary. We couldn’t support him the way they were setting us up. So I looked around and noticed that the White House had not reserved any hotel space in Paris. I got hold of the embassy housing guy and we went to the [Hotel] Crillon [next door to Embassy Paris] and blocked two floors and I just sat back and waited. About a week after we got back to Washington I get this phone call from the White House advance team. “We have a little problem with hotel space in Paris.” So I traded with them. I didn’t need all of the space I had blocked so I gave them Paris space and got adequate space from them out at Versailles. That was the way I had to do it…. During the trip it went from protocol questions and logistical problems into substance, foreign policy issues. Repeatedly Haig was being bypassed. 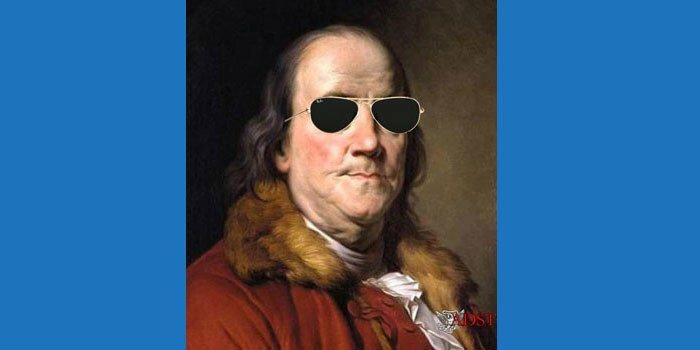 He was right there in the room or in the building and [Deputy Secretary of State Bill] Clark was going directly to the President on issues of UN votes…This was before we had a classified fax. The White House had one…. In the middle of all this Israel invaded Lebanon. We were at Versailles and we brought Phil Habib down from England for a briefing and sent him on his way. Phil correctly predicted they would not stop as they said they were going to stop, and that they were going all the way to Beirut. I got a hold of this letter from Reagan to Begin, begging for a ceasefire. The Secretary of State didn’t know anything about it. He was off at a banquet or something. So I got on the phone to [pictured, Executive Secretary] Jerry Bremer, who was backing us up. He called Bud McFarlane, who was then the [Deputy National Security Advisor] to Clark. Bud denied it. Jerry called me back and said that there is no such letter. And Jerry, of course, blew his stack and got back to Bud who finally admitted the letter had gone out. I had to go and show it to the Secretary of State when he got back and tell him it had already gone out. A major foreign policy issue in the midst of warfare. And it just kept on happening. In my judgment they were just setting him up. Haig had occasionally threatened to resign and they set him up.…. I found myself wandering around about 3 or 4 in the morning in Windsor Castle looking for the Secretary of State and bumping into Deaver in his pajamas. I thought for a while it was a replay of Macbeth or something. It is really unreal because I had on the other end of the phone [Under Secretary of State for Political Affairs Larry] Eagleburger and Bremer screaming at me that the UN was about to take a vote and did the Secretary know anything about it. I had to say that I didn’t know where the Secretary of State is, that I couldn’t find him. I think it dawned on both of us at the same time that this was not an accident. These series of events were not accidental. This was a deliberate strategy that Clark and Deaver had decided on to get rid of Haig…. These guys from California were Californians. They were easy going and Haig comes into a room and sparks would start flying and he sits down at a table in a meeting and it is all wham, bang…. So this had been building for a while. I think they finally decided this was a good opportunity to really humiliate him in front of his staff. On one occasion they were at the same banquet table when Clark goes over and whispers in the President’s ear and goes off and made a major foreign policy decision and doesn’t even tell the Secretary of State. Doesn’t even tell him, much less involve him in the discussion…. [Clark] would go directly to the President with them and cut out the Secretary of State. The basic plan was that you drive this man nuts and he will come in and resign. CLUVERIUS: I got my instructions — Do not see the Israelis, send your delegation home and, to me, you will join the President and the Secretary in Europe. They were on the Paris-London-Bonn tour, President Reagan was. And of course, Haig was with the President and they had no Middle East guy in the entourage so I was told to immediately catch up the next morning and the Embassy was to get me a ticket. To get me to London, I had missed the Paris portion. 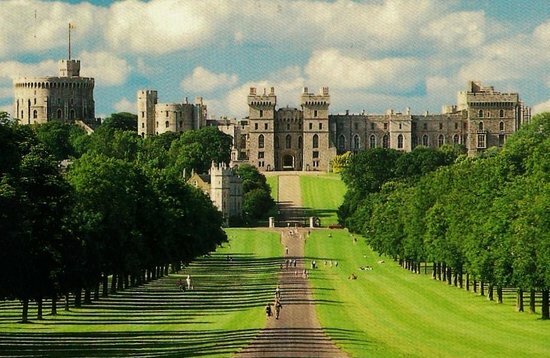 I was to catch up in Windsor and then join the Secretary and the party and go on to Bonn…. Haig had called me out of the hotel in Bad Godesberg to go to this castle which was about 40 minutes away. And of course there was lots of phoning going on; obviously, I didn’t know anything about what was passing between Haig and [Ambassador to Israel] Sam Lewis in Tel Aviv, [Prime Minister Menachem] Begin. Of course the Israelis at the time were still pushing the idea, the fiction that this was a limited intervention….Of course [Defense Minister Ariel] Sharon had been deceiving, probably Begin himself, and was really pushing to engage the Syrians regardless of the public statements of intent. Haig was very excited, very excitable about trying to put this thing back together again. He wanted to send off some rather ill-considered cables which he told me to write. I tried to write them so that they’d look proper on the record, so to speak. He went upstairs at one point. Came back down and said he’d talked to Begin on the phone. Everything was alright, he had certain assurances, no thanks to anybody else. He, Al Haig, had done it. He then wanted to talk to the President. The Secret Service had told him the President was asleep. He said, “I don’t give a damn, I want to talk to him.” This must have been after midnight, sometime between 12 and 1:30-2. He was telling the President he had talked to Begin. The Israelis were giving him assurances on this and that. He was the only guy the President had who knew what he was doing. Then he called from a dining room which was the command post for the Secretary, and at this hour there was just me and this one staff aide. There were some sliding doors, on the other side of which were a couple of late-night secretaries. They couldn’t really hear what was going on in this room, fortunately. He even asked one of them to come in and dictated a note which he said he wanted to pin to the pillow of the National Security Adviser, Bill Clark…. He was really imparting that he, Al Haig, had fixed it. He was the only one who could possibly have done so. I think this whole thing was just a bitter piece of a much larger set of unhappiness both with the Reagan people with Al Haig not being a team player and all of that, and Al Haig with them…. I thought either the President was about to give up foreign policy to a Secretary of State or he was going to have to fire the guy. And it was serious enough that at the end of the evening, the one other person in the room, the staff aide, we agreed that we would keep this one under our hats for a decade or so. TAYLOR: At some point, possibly this was in 1981, Haig sent a memo to President Reagan that underscored the strategic importance of the China relationship. In this memo, a copy of which I saw, Haig argued that Carter had messed up the Taiwan arms sales issue at the time of recognition and had thus threatened the critical geopolitical connection begun by Nixon. The suggestion was that flexibility on the arms sales question was critically required because Carter (not Reagan) had stirred up the matter and provoked the Chinese. 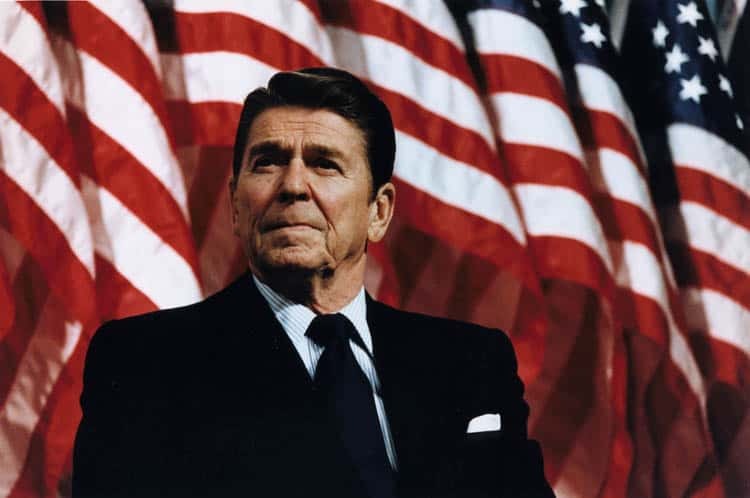 In May 1982, as the negotiations seemed to have run into a dead-end, Reagan signed letters to the three top Chinese leaders (Deng, Zhao, and Hu Yaobang) — an extraordinary, probably unique presidential gesture. These letters strongly reaffirmed America’s commitment to the one-China principle and recognized “the significance” of Peking’s 1981 nine-point proposal to Taiwan for unification. Whether Bill Clark at the NSC saw these letters in draft is uncertain but they laid the foundation for the agreed upon communiqué. Vice President George Bush then made a visit to Peking in May, where he had a long talk with Deng Xiaoping, which carried over into a Chinese feast for lunch. The elderly Deng tossed back four or five “gan bei’s” of high octane maotai. Bush tossed down one or two shots and thereafter only touched the liquid to his lips. Bush’s views were similar to those of Haig: we could restrict without any specifics whatsoever our future arms sales to Taiwan but only if China agreed that this action would be linked to China’s strong commitment to a peaceful resolution. At one point in the meeting, Bush said that no one in the Administration saw such sales “going on forever.” When Bush returned to Washington, he was helpful in the final maneuvering that squirmed through a final draft accord. About this time, Paul Wolfowitz, who was head of Policy Planning at State, sent a memo to Haig strongly opposing the communiqué. Haig ignored the complaint, but by this time pro-Taiwan Congressmen as well as officials in the White House were becoming worried that the negotiations would seriously restrict our arms sales to Taiwan and end up pressuring the Government in Taipei into negotiations with Peking on reunification. 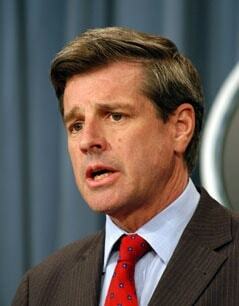 Wolfowitz was in their camp…. Haig’s tactical reason for pursuing the Communiqué was simply to get over the current imbroglio with Peking. The dispute had its roots in Reagan’s remarks about Taiwan during the presidential campaign. These remarks had put pressure on Deng Xiaoping within the Chinese leadership to address the issue. The Soviet invasion of Afghanistan had reinvigorated America’s strategic interests in close ties to China, and thus the contretemps was also an opportunity for Deng to settle the issue on an acceptable basis. For Haig there was also, I believed at the time, a profound strategic reason to settle the issue. Most of his “China hands” agreed with him…. Politically and personally, Chiang was deeply committed to the principle of One-China. Thus it appeared that while Chiang wanted as strong a hand as possible in dealing with Peking, he in fact intended at some point to begin direct talks. Conservatives in the White House and in Congress were upset with Haig over a number of foreign policy issues, including the Middle East and the proposed Soviet-West European pipeline. 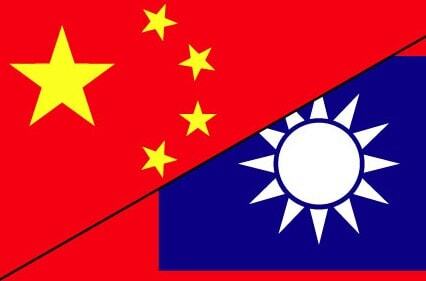 The proposed communiqué with Peking on arms sales to Taiwan was another cause of their rising discontent. The White House Senior staff, including James Baker, [Attorney General Ed] Meese, and Deaver did not at all like Haig’s aggressive and sometimes imperial style. Goldwater sped out to Taipei in early June. From a ranking Taiwan official, I later learned that Goldwater had personally reassured Chiang Ching-kuo that, as [Singaporean Prime Minister] Lee Kuan Yew had informed him the previous year, Taiwan would receive “some sort of advanced aircraft” that would meet Taiwan’s needs. In addition, the Senator very likely told Ching-kuo that he need not worry about the forthcoming US-PRC communiqué. On June 23, Goldwater informed Reagan that Haig had lied to him (Reagan) about the communiqué. Reagan, who hated firing people, called in the Secretary and abruptly asked for his resignation. Haig agreed but said he would stay on until his replacement was confirmed. The amenable President agreed. PERITO: There was tension, which resulted in Haig’s resignation. I accompanied [pictured, Deputy Secretary of State Walter] Stoessel when he represented the U.S. at the annual ASEAN and ANZUS [Australia, New Zealand, U.S. Security Treaty] conferences because Haig did not want to go. Again we were given a USAF [U.S. Air Force] special aircraft and left for Singapore via the Philippines. We had an extraordinary experience in the Philippines. We called on President [Ferdinand] Marcos and met Imelda, were wined and dined, and stayed in a gorgeous house…. After Singapore, we attended the ANZUS conference in Australia, stopped in New Zealand and flew to Pago Pago in American Samoa, the setting for the Broadway show ‘South Pacific.’ We stopped there overnight and then were supposed to go to Hawaii and then home. Stoessel stayed at the governor’s mansion in Pago Pago. I stayed in a motel down the road. When we arrived at the mansion, the governor was in the kitchen in his pajamas. He said Stoessel was in the bedroom. I walked into the bedroom. Stoessel was in bed talking on the phone. The conversation went on like that for a few more minutes. I went downstairs, woke up the air crew, which had planned to spend the day at the beach, and explained that Haig had resigned, Stoessel was Acting Secretary of State and we had to return to Washington. We stopped in Hawaii only long enough to refuel and talk to the CINC-PAC [Commander n Chief, Pacific Command] commander who had no additional information about what was happening in Washington. We landed at Andrews Air Force Base at night, it was raining, the place was deserted, and ours was the only aircraft. We were met by a State Department van and a car for Stoessel. There was no one to greet us; no news; we had no idea what was happening. It felt like there had been a coup. We got in the car, and Stoessel said, “Let’s go to the Department and find out what’s happening.” We did. Al Haig had turned in his resignation…. But Haig didn’t leave. His resignation was accepted by the President, but no replacement was named and Haig continued to come to the office and function as the Secretary of State. This was a very critical period. A full-scale Israeli attack on the Palestinians in Lebanon had reached Beirut. The Israeli army had encircled the city, trapped the Palestinians inside and were threatening to annihilate them, including Yasser Arafat. The U.S. embassy in Beirut was shelled continuously. Ambassador Philip Habib was in Beirut as the U.S. negotiator. Officially Stoessel was the Acting Secretary of State, but Al Haig was still there and still making decisions. We were involved in trying to figure out how to save the Palestinians from being annihilated by the Israelis. 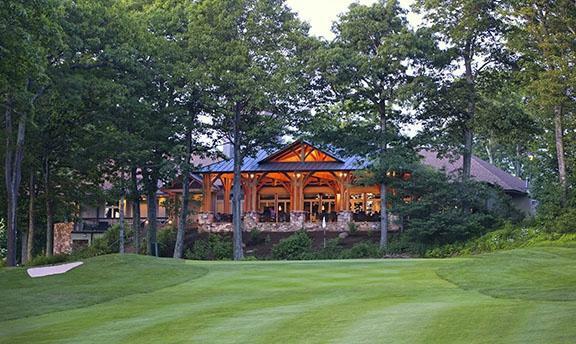 On the July Fourth holiday, Haig went on vacation to Wintergreen [the famous resort in the Blue Ridge mountains in Virginia]. The Department was closed, but Stoessel and I were in the office. Phil Habib was on the phone calling Stoessel from the ambassador’s residence in Beirut to tell him about the latest twists in the negotiations between the Palestinians and the Israelis. You could hear the shells exploding around the building. Stoessel was on the phone with Habib. I was sitting across the room on another telephone with Haig’s assistant who was standing beside a tennis court at Wintergreen where Haig was playing tennis. Between artillery bursts, Habib would talk with Stoessel who would give me the message. I would speak to Haig’s assistant who would wait until Haig finished his serve to pass along the message. The assistant would give me Haig’s reply; I would tell Stoessel who would tell Habib. The conversation went on in this manner for 45 minutes. As it turned out, this exchange was one of Haig’s last acts as Secretary of State. George Shultz had been announced. Stoessel asked Shultz to tell Haig his time as Secretary was over. Haig did not come back to the Department after his vacation.